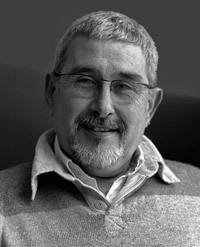 Ali Ilgazlı was born in İstanbul 1953. Following his local education in İstanbul went to UK and studied Computer Science at University of Manchester during the first part part of seventies. He was with photography from the early school days and had been ever since. Being an amateur had to have a professional life. He worked for several multinationals like Shell and Toyota initially. He then focused on logistics for the last 15 years and is now giving Logistics Consultancy services in his own company. Ali's initial photographic activities was mainly focused on B/W, since there was no "digital" during 70's. Darkroom and times he spent during printing were quite valuable for him. He started focusing on mostly still life. He had his first personal exhibition "Reflections" towards the end of seventies. He is one of the founder members of "Fotogen Fotgraf Sanatı Derneği ( The Association of Artistic Photography ). Following a small time gap of inactive period between "film" and "digital" he is now focused on digital and more productive in photography.